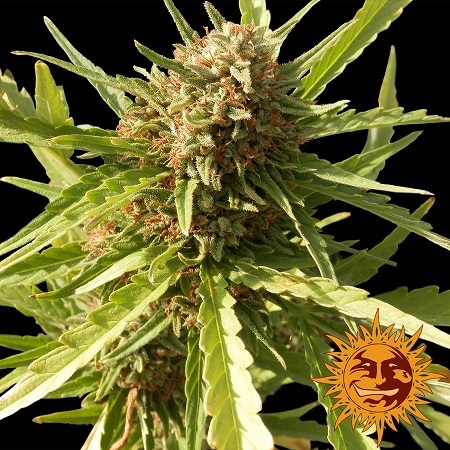 Red Cherry Berry Feminized Marijuana Seeds by Barney's Farm Seeds: Red Cherry Berry is a 70% indica strain that is a cross between a top-rated Skunk #1 and a Californian Indica that was one of Skunk's original ancestors. 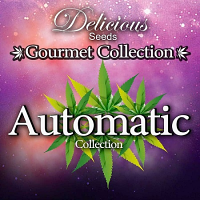 Expect high yields and a healthy dose of THC. Red Cherry Berry gives a peaceful, relaxing body-stone but which also has a strong cerebral element to it. It is quite a small plant in terms of height and will stay below one meter tall. 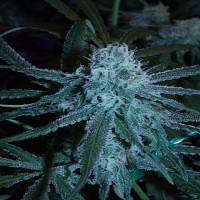 When cultivated indoors yields of about 550gr/m2 will be gained in 55 to 60 days of flowering. It is also suitable to be grown outdoors in a wide range of environments due to its early finish during the second half of September in the northern hemisphere. 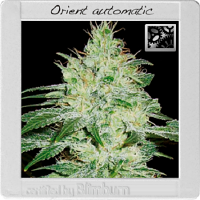 It is an easy, hassle-free cannabis strain that is hardy and robust making it a perfect strain for beginners.